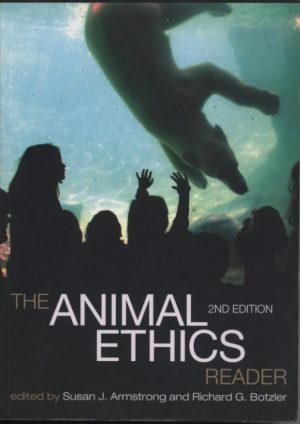 The Animal Ethics Reader edited by Susan J. Armstrong and Richard G. Botzler. Routledge. 646 pp. Social Creatures: A Human and Animal Studies Reader edited by Clifton P. Flynn. Lantern. 458 pp. Were it announced tomorrow that anyone who fancied it might, without risk of reprisals or recriminations, stand at a fourth-storey window, dangle out of it a length of string with a meal (labelled ‘Free’) on the end, wait till a chance passer-by took a bite and then, having entangled his cheek or gullet on a hook hidden in the food, haul him up to the fourth floor and there batter him to death with a knobkerrie, I do not think there would be many takers. Twelve years earlier, Brophy’s novel, Hackenfeller’s Ape, brilliantly plays out the arguments we know well today about the how and why, the could and the should, of our confused and contradictory relationship with animals. The animal rights essay caused a ripple at the time but Brophy’s pen continues to dazzle and sparkle in the light that now shines that bit more brightly on our relations with animals. She explored the fundamentals of what animal rights means which, in the last 40 plus years, hundreds of philosophers, social scientists, humanitarians, scientists, lawyers, activists and others have expounded upon. Indeed, my personal collection of books relating to animals now exceeds more than 1,300 titles. If you want more than the latest “how-to-become-an-animal-right-activist” and if you want to deepen your understanding of human-animal relations, where do you begin? I believe Brophy would have been delighted with two recently published and complementary anthologies. The first is a revised and updated edition of The Animal Ethics Reader edited by Susan J. Armstrong and Richard G. Botzler. It brings together both classic and contemporary readings. It is comprehensively organized into 10 sections (e.g., Theories of Animal Ethics, Animal Experimentation, Animal Law/Animal Activism), which includes 87 articles written by such experts as Tom Regan, Jane Goodall, Carol J. Adams, Donald R. Griffin, Lynda Birke and J. Baird Callicott. Each section ends with a list of further reading and a set of study questions. It is ideal for both activist thinkers and scholars. Whereas The Animal Ethics Reader is broad in scope, the second anthology, Social Creatures, is focused on the emerging academic field of human-animal studies. HAS is one of our three primary program areas. Indeed, my ASI colleague, Ken Shapiro, has been in the forefront of human-animal studies from its inception and contributes two articles to this collection. Several of the articles included were originally published in the Society & Animals academic journal edited by Ken. The anthology’s editor, Clifton P. Flynn, explains how HAS asks “What can we learn about ourselves from our relationships with other animals? What does the way we think about and treat other animals teach us about who we are?” This is answered by such authorities as Barbara Noske, James A. Serpell, David Nibert and Josephine Donovan. Social Creatures is organized into nine sections covering historical and comparative perspectives of HAS, criminology and deviance, inequality and living and working with other animals. “Where animals are concerned,” Brophy wrote “humanity seems to have switched off its morals and aesthetics—indeed, its very imagination.” These two essential anthologies demonstrate that someone’s finger is flicking on the light switch.